When we envisioned our SOUNDS DELICIOUS series we had high hopes. We wanted to hear our favorite bands lovingly reinterpreting art that meant something to them. We wanted music that would be fun, inventive, and exciting. We wanted covers that respect the album format as an art form instead of just focusing on a few hit singles. Yet, while we had high expectations, we couldn’t imagine just how great the results would be. We never imagined Yumi Zouma’s dreamy reinterpretation of Oasis. We never imagined Jonthan Rado of Foxygen’s loose and free-wheeling take on Bruce Springsteen’s Born To Run. And yet, time and time again, each and every one of the artists we’ve worked with have completely blown us out of the water with their contributions. For our latest release in the series, GEMS keep the streak alive in a big way as the duo treat us to their track-by-track reinvention of John Lennon’s solo masterwork Imagine. From an epic, rumbling makeover of the bigger-than-life title track to their evocative and shimmering interpretation of album closer “Oh Yoko!” – they approach each track with reverence and respect even as they nail their flag to the mast. I listened to John Lennon’s album Imagine all the way through for the first time last year and that line just hit something deep within me. The inescapable sadness of life.The despair of feeling totally alone and calling out into the void, just searching for some kind of solid ground to stand on. It feels like the whole world is calling out right now from this place of hurt, calling out for truth. But we’re so divided and continue putting up false walls between us. I feel honored that we had the chance to record our own interpretations of these courageous, albeit conflicted songs. In some ways Lennon’s vision seems impossibly naive today. But don’t we need something to strive for? We need connection, we need communication, forgiveness and healing. I know I need the type of enchanted dream where we try to lift up humanity together. Even if it’s just in our own small, personal way. We’re also excited to announce that we’re teaming up with Seattle-based illustrator Teresa Grasseschi for the next several releases in the series! That’s her work that we’re featuring on the album art for this release. GEMS’ version of Imagine is only available by subscribing to SOUNDS DELICIOUS. In addition to a deluxe edition for our Kickstarter supporters, it’s available on amber colored vinyl for recurring subscribers and gift orders of 6-months or more (while supplies last) and on black vinyl for all other orders. As always, each copies comes packaged with a digital download of the album. Only 1000 copies were pressed in total! These are expected to begin shipping next week! Recorded on This Day – In 1969, John Lennon recorded the track ‘Cold Turkey’, with Eric Clapton, Ringo Starr, Klaus Voorman and Yoko. Lennon presented the song to Paul McCartney as a potential single by The Beatles, as they were finishing recording for their Abbey Road album but was refused and released it as a Plastic Ono Band single with sole writing credits to him. There are other versions besides the single, several of which are acoustic, It was the second solo single issued by Lennon , The single was released with a standard green Apple label, with the words “Play Loud” printed on the spindle plug of the UK pressing. 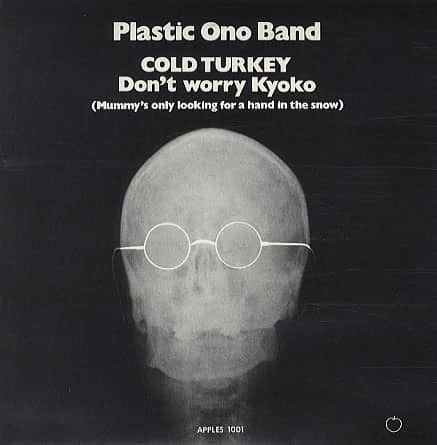 The song’s first appearance on an album was Live Peace in Toronto 1969 where the song had been performed live on 13th September 1969 with Lennon reading the lyrics off a clip-board Here is a super live performance of Cold Turkey by Lennon with the Plastic Ono Band in New York City. More bluesy, more jazzy and more rock than the single version. Enjoy Lennon performing the track live in New York City. The Beatles Rooftop Concert took place on January 30th, 1969, at infamous Abbey Road Studios, George Harrison was several weeks shy of his 26th birthday on February 25th. The rooftop concert was performed at the end of January 1969 at Apple Studios, Saville Row, London. Abbey Road Studios, located in the fashionable London district of St. John’s Wood is where the Beatles recorded most of their albums, as well as the final one, “Abbey Road”. It is here where the iconic album cover pictures the Beatles crossing the street outside o the studio. It’s hard to believe that it’s 47 years since The Beatles said goodbye with their final – albeit explosive – public appearance, perched on top of the Apple headquarters in London. On this day in 30th January 1969 The Beatles delivered what was to be their final public performance; they’d planned on doing a live show during their Get Back sessions but it wasn’t until days before the actual event took place that the idea of performing on the roof of Apple headquarters really came together. 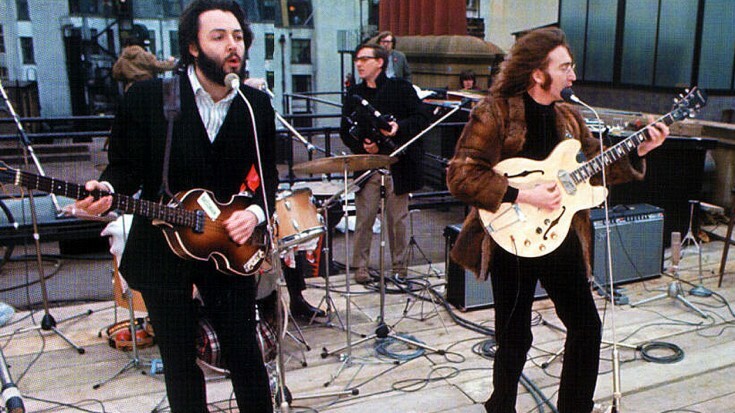 With a 5-song set list that included “Get Back” and “Don’t Let Me Down,” The Beatles did a total of 9 takes live from the rooftop before London’s Metropolitan Police Service was dispatched to break up the concert, citing “noise complaints” from tenants on the same block. The concert effectively signaled the end of an era for both the band and their fans; despite Abbey Road’s release in September of that year the band had unofficially disbanded, never to reunite as a 4-piece again. While there’s a slight note of sadness to The Beatles’ final public appearance, there’s a note of something electric, too. In a way, they left us the same way they found us; in absolute chaos and unable to make heads or tails of our emotions and somehow, we wouldn’t have it any other way. 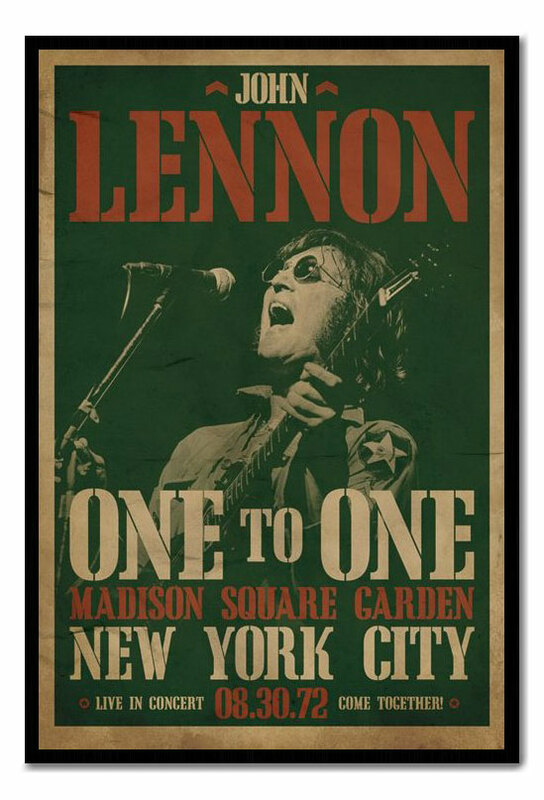 The concerts documented on “Live in New York City” were John Lennon’s only rehearsed and full-length live performances in his solo career, and his first – and last – formal, full-fledged live concerts since the Beatles retired from the road in 1966. Lennon never mounted a tour during his post-Beatles career. The concerts also marked the last time he performed live with Ono, as also with Elephant’s Memory. 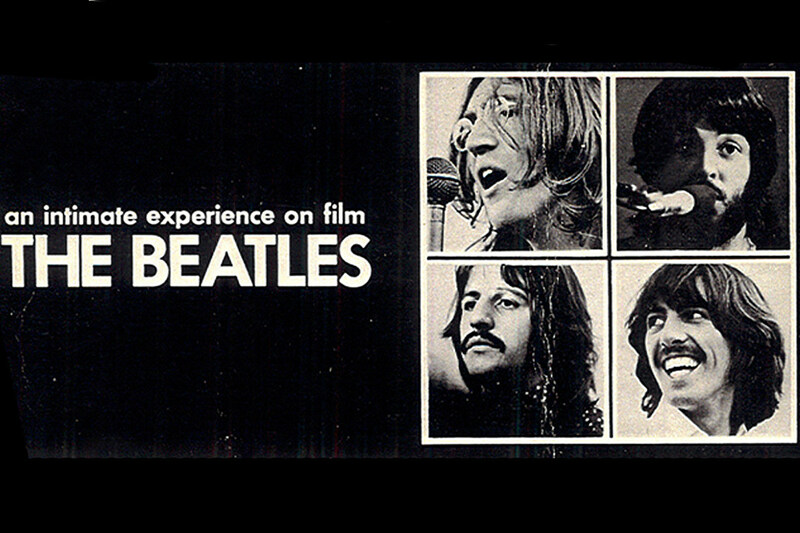 Two concerts took place, in the afternoon and evening of 30 August 1972 . John Lennon Live In New York City was released simultaneously as an album and video in 1986, with different performances from the two shows on each. The benefit concerts, billed as “One to One” , also featured other performers in addition to Lennon, including Stevie Wonder, Roberta Flack, Melanie Safka and Sha-Na-Na, although their performances are not included on this album, nor on the simultaneous video release. “Live in New York City” captures John Lennon’s last full-length concert performance, coming right after the release of “Some Time in New York City”, which was a commercial failure in the United States. Perhaps as a result, Lennon’s stage talk, while humorous, is self-deprecating and slightly nervous in tone. Backing Lennon and Ono were Elephant’s Memory, who had served as Lennon and Ono’s backing band on Some Time in New York City. Although the material Lennon performed was largely drawn from his three most recent albums of the period (John Lennon/Plastic Ono Band, Imagine and Some Time in New York City), he also included in the set list his Beatles hit “Come Together” and paid tribute to Elvis Presley with “Hound Dog” before leading the audience in a sing along of “Give Peace a Chance”. “Come Together”, originally in the key of D minor, was performed in E minor.